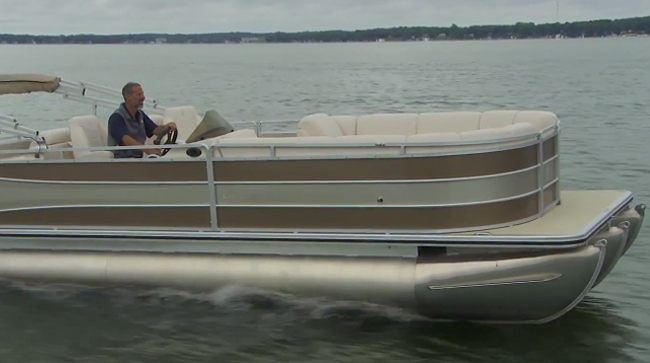 We put the 2015 Cypress Cay Seabreeze 250 pontoon boat through its paces. If you watched our video boat review of the Cypress Cay Seabreeze 230 and thought the boat had everything you'd want except for enough space, then the Seabreeze 250 might be just what the doctor ordered. We hopped aboard a brand-spankin'-new Seabreeze 250 and spent a day zipping back and forth across the lake, to find out the high points and low points of the 250 and film this pontoon boat review. 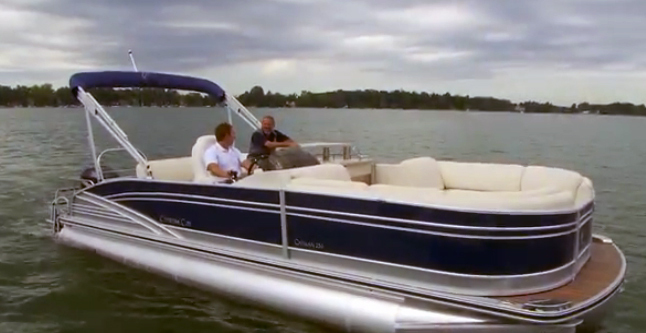 Design and build a large, comfortable pontoon boat that doesn't break the bank but maintains decent performance and excellent construction quality. -Seat bases are molded polyethylene, tubes are 25" diameter aluminum, and the deck is pressure-treated ply (which comes with a no-rot guarantee). 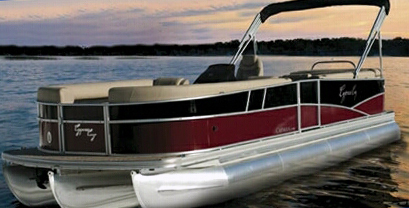 The center pontoon is a partial tube, which saves on some cost but still improves handling and weight-bearing ability. -Full-length M-brackets attach the pontoon tubes to the cross-members. 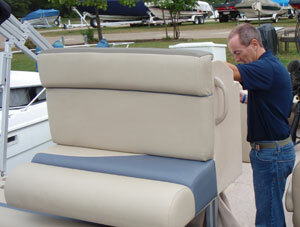 -Helm is molded fiberglass, which is stouter than the roto-molded helms commonly seen on pontoon boats. It looks great and is functional, but could be improved if they added an area to put additional electronics. -With a Mercury 115 ELPT outboard the boat has sufficient oomph for pulling water-toys and general cruising, but you shouldn't expect speedboat-style performance. -Top-end is 36.1 MPH, and cruising speeds are in the mid to upper 20's. -Handling is about as expected for a tri-toon pontoon boat, even though the third log is only partial. -The boat stays mostly flat instead of banking, but turns begin as soon as initiated and are relatively tight. -Pricing is surprisingly low, especially considering construction quality. 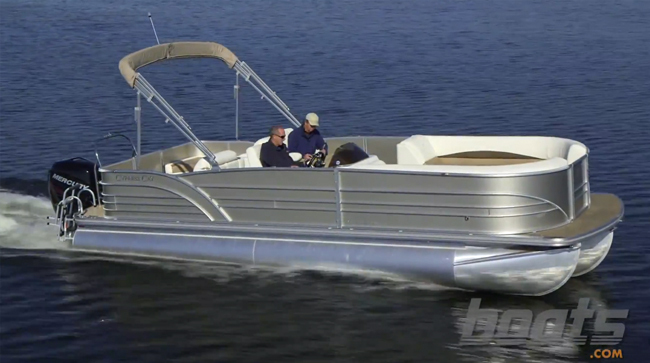 With a small powerplant (40 or 50 HP) you can get a well-outfitted, turn-key boat for well under $30,000. With a large powerplant and the Performance Package added, pricing is still in the $40,000 range. 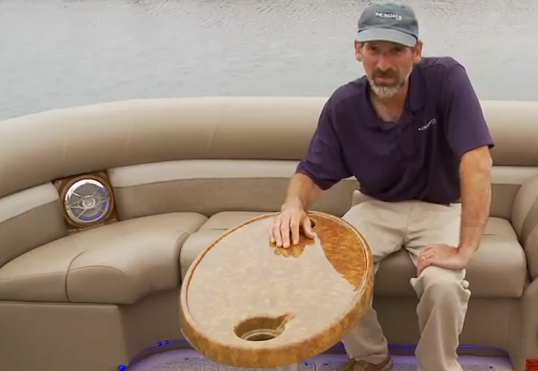 -Whichever seating arrangement you choose, the boat has room for a dozen people. That makes it a genuine party barge. -Certain details not commonly found on affordable pontoon boats (like the recessed speakers, well-built Bimini with quick-release fittings, and lighted rocker switches) trickle down from Cypress Cay's higher-end boats. If you think the Cypress Cay Seabreeze 250 is a boat you'd like to find out more about, see some listings here or click over the the Cypress Cay web site. There's more detailed info to be found in our full written review of this boat, Cypress Cay Seabreeze 250: Summer of Fun. 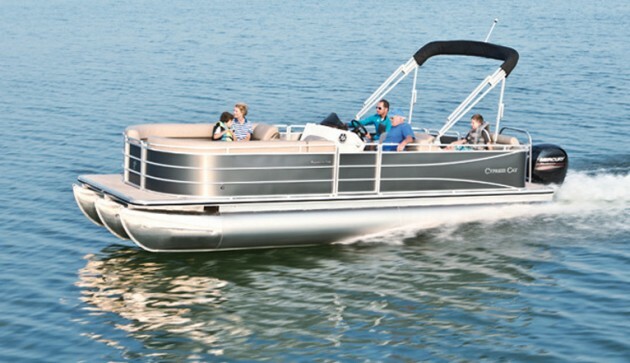 And if you like this model but it's not a perfect fit, you may also want to view our Cypress Cay Cayman 250 Video Boat Review or watch Value Pontoon Boats: Get the Most Bang for Your Buck.